How Do I Choose an NJ Firm for My Personal Injury Case? | Blume Forte How Do I Choose a New Jersey Firm to Handle My Personal Injury, Malpractice, or Wrongful Death Case? How Do I Choose a New Jersey Firm to Handle My Personal Injury, Malpractice, or Wrongful Death Case? Home / FAQs / How Do I Choose a New Jersey Firm to Handle My Personal Injury, Malpractice, or Wrongful Death Case? DOES THE LAW FIRM HAVE AN ADEQUATE NUMBER OF LAWYERS CERTIFIED BY THE SUPREME COURT OF NEW JERSEY AS CIVIL TRIAL LAWYERS? HAS THE LAW FIRM HAD ADEQUATE EXPERIENCE IN HANDLING THE TYPE OF CASE YOU HAVE? HOW IS THE LAW FIRM RECOGNIZED BY OTHER LAWYERS? DOES THE LAW FIRM HAVE ADEQUATE RESOURCES TO COVER THE COSTS AND PREPARATION OF THE LITIGATION? Q: DOES THE LAW FIRM HAVE AN ADEQUATE NUMBER OF LAWYERS CERTIFIED BY THE SUPREME COURT OF NEW JERSEY AS CIVIL TRIAL LAWYERS? Personal injury matters account for 90% of the jury-decided civil litigation in the courts of New Jersey. The Supreme Court of New Jersey has established a specialty known as a certified civil trial attorney. To become recognized by the Supreme Court as a certified civil trial attorney, a lawyer must have met stringent requirements as to training, experience and ability. In addition, he or she must pass a written examination demonstrating his knowledge of the various facets of civil trial litigation. Of the more than 75,000 lawyers licensed in the State of New Jersey, there are approximately 1,000 certified civil trial attorneys. To date, 10 Blume Forte lawyers have been certified. For more information regarding Certified Trial Attorneys, click here. Q: HAS THE LAW FIRM HAD ADEQUATE EXPERIENCE IN HANDLING THE TYPE OF CASE YOU HAVE? Ability in tort law can be measured only in evaluating the lawyer’s previous successes in obtaining adequate damages for his traumatized clients. Insurance companies and large corporations that are, in effect, self-insured are very much aware of which lawyers have been successful in trying personal injury and death cases. Since most claims are settled prior to actual trial, clients of those lawyers are offered substantially larger settlements without the risk of a trial. The reason is obvious. When a New Jersey lawyer has demonstrated his ability in the courtroom to achieve substantial money awards from juries, insurance companies and large corporations are less likely to take the risk of trying cases against that lawyer. This website contains a small sampling of the type of cases we have handled and the successes we have achieved. If your particular type of case is not included, call to speak with one of our lawyers to determine our experience in that area. 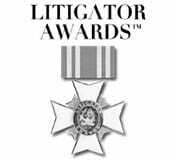 Q: HOW IS THE LAW FIRM RECOGNIZED BY OTHER LAWYERS? One of the best ways to evaluate a law firm is to determine what other lawyers think of it. Those thoughts may be reflected in two ways, one of which is inclusion in the publication Best Lawyers in America, and New Jersey Monthly’s list of Top Lawyers in New Jersey (Super Lawyers). 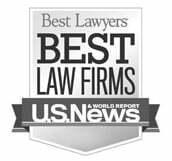 Eight Blume Forte lawyers are included in Best Lawyers in America, and 15 have been listed in Super Lawyers. Inclusion in those publications is determined by a polling of other lawyers in the State as to who are the best lawyers in each field. The other way is to determine what percentage of the firm’s cases are referred by other lawyers. Who but another lawyer would be in a position to determine which firm is most likely to produce a good result for his or her clients. 80% of Blume Forte’s cases are referred from other lawyers. Q: DOES THE LAW FIRM HAVE ADEQUATE RESOURCES TO COVER THE COSTS AND PREPARATION OF THE LITIGATION? Since most seriously injured persons do not have funds available to pay the costs of litigation as they arise, the lawyer must advance them and they are returned to the lawyer out of any judgment or settlement obtained prior to the calculation of the fee. Litigation expenses can be quite substantial, as much as $50,000 or more in most medical malpractice, products liability and construction site accident cases. Even in automobile or fall down cases with moderate injuries, costs of $10,000 or more are not uncommon. If the law firm does not have adequate financial resources to advance the necessary costs, it is obvious its cases will not be properly prepared. In order to properly prepare and handle tort litigation today, it is necessary that the attorney not only have the ability and the financial resources to proceed, but also have an adequate support staff. Litigation has become extremely complicated. Before a matter is ready for settlement discussion or for trial, it requires numerous court appearances, investigation, legal, medical and/or scientific briefs, the taking of depositions, the obtaining and analysis of medical and other records, retaining top expert witnesses and the like. Proper trial preparation is very difficult for a single practitioner or a small firm whose practice is not limited to trial law. Blume Forte has those resources and is the only plaintiff’s personal injury law firm in the State of New Jersey with a physician, three nurses and a full time reference librarian on staff. The best results are achieved by an experienced New Jersey law firm which is retained as early as possible. When serious trauma to an individual takes place, the party causing the harm usually, through its insurance company, is able to start preparing their defense through investigation, talking to witnesses, obtaining photographs, eliminating the dangerous condition, and other pretrial preparation shortly after the event. The longer the injured party delays in obtaining adequate legal representation, the more difficult it is to recover adequate damages.